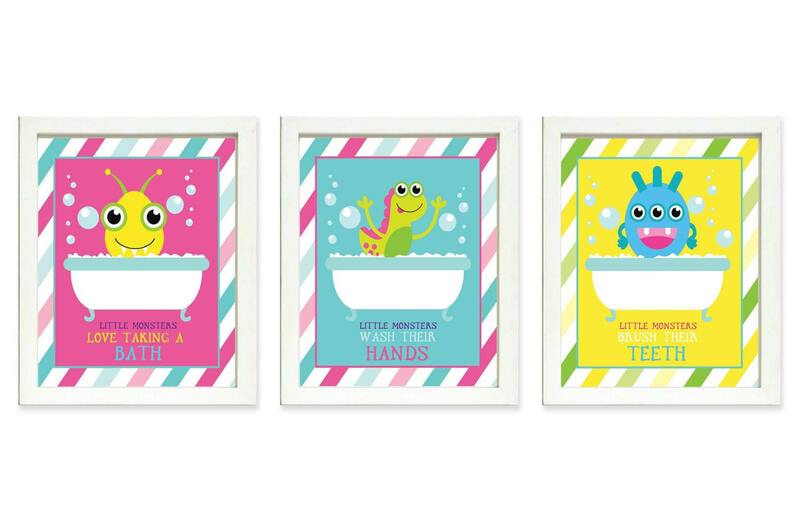 Little Monsters Bathroom Print Set of 3 Bath Brush Teeth Wash Hands Art Child Baby Art Print Kids Wall Decor Kids Bathroom Art Wall Decor. This is for a set of 4 prints in 8 inchs x10 inchs . Print(s) are designed to fit into standard photo frames. Frame(s) not included.